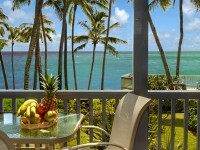 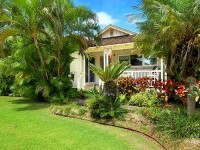 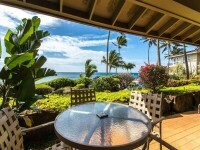 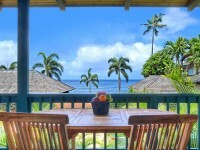 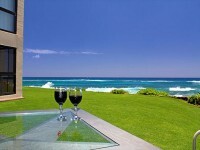 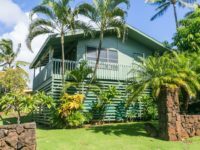 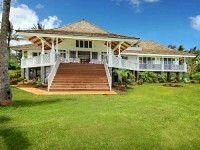 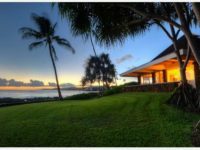 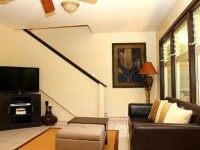 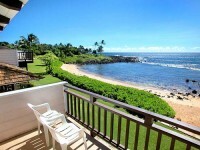 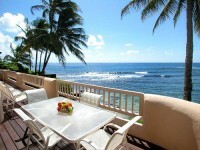 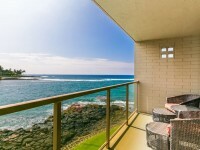 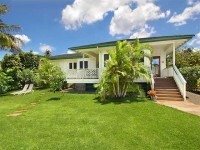 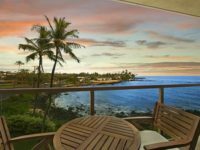 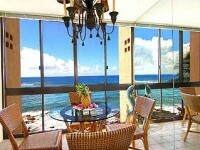 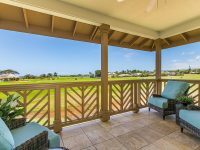 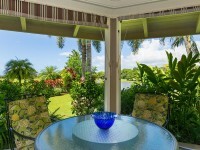 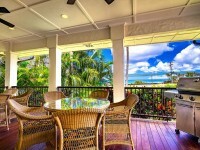 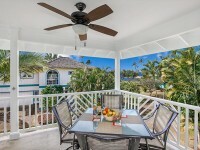 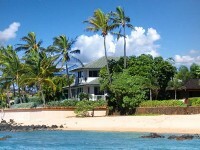 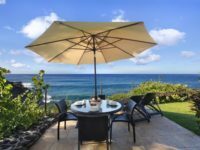 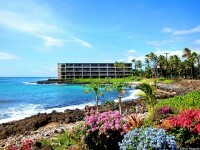 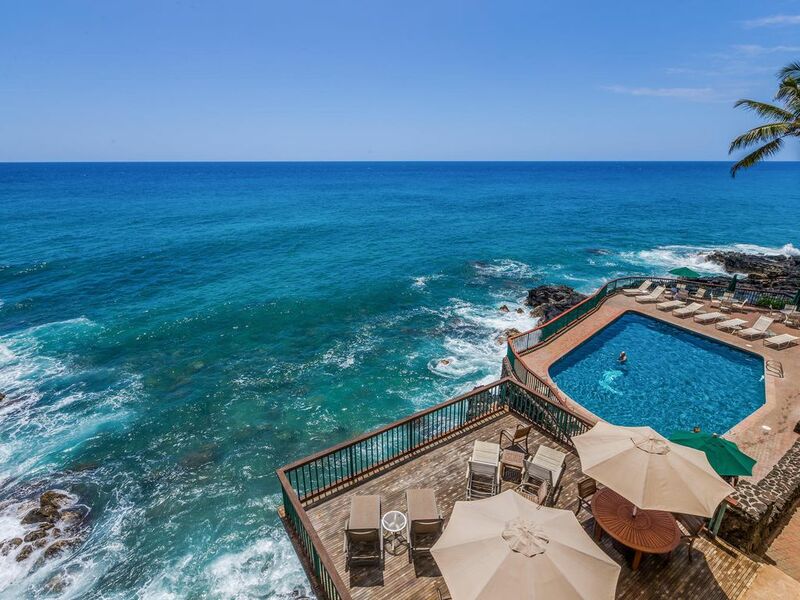 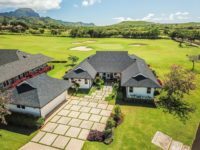 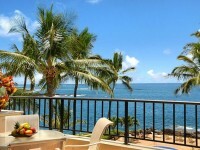 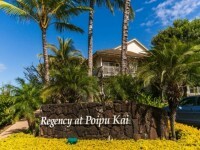 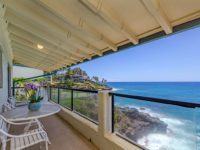 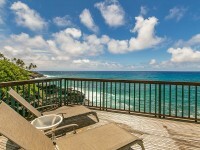 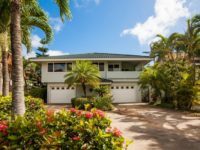 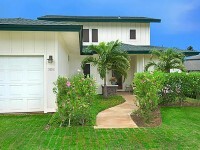 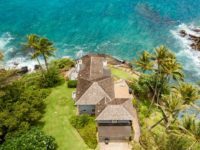 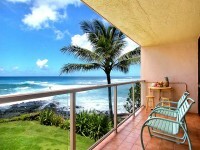 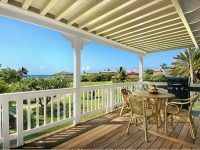 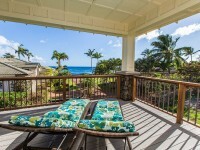 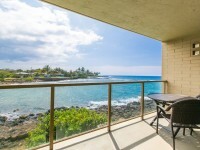 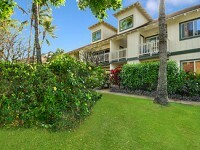 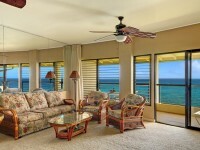 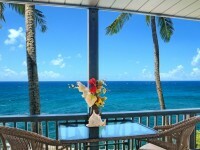 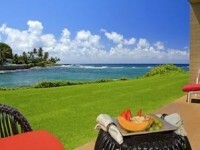 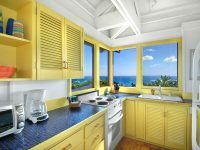 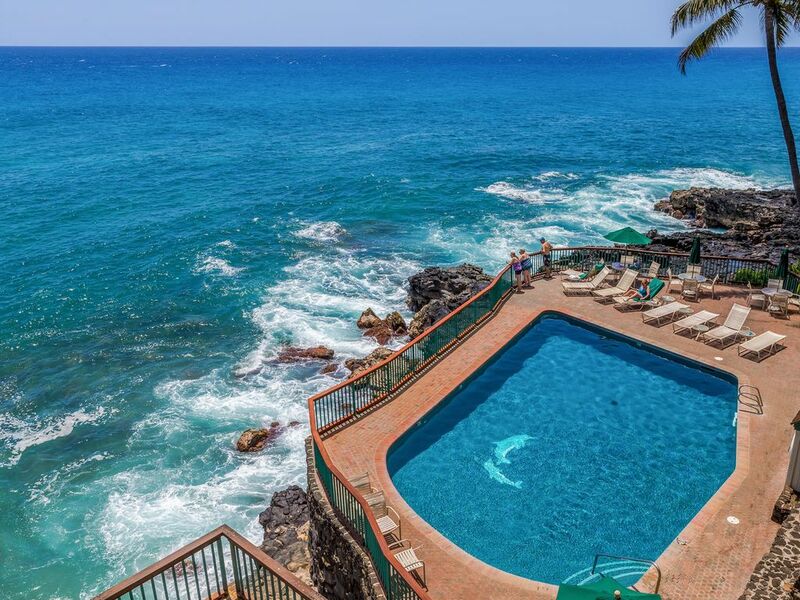 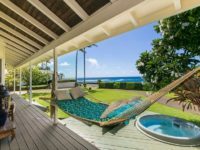 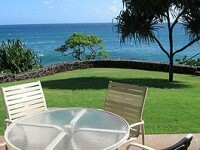 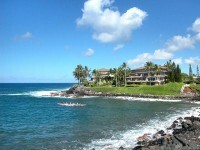 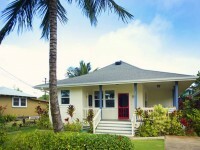 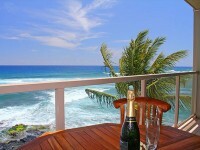 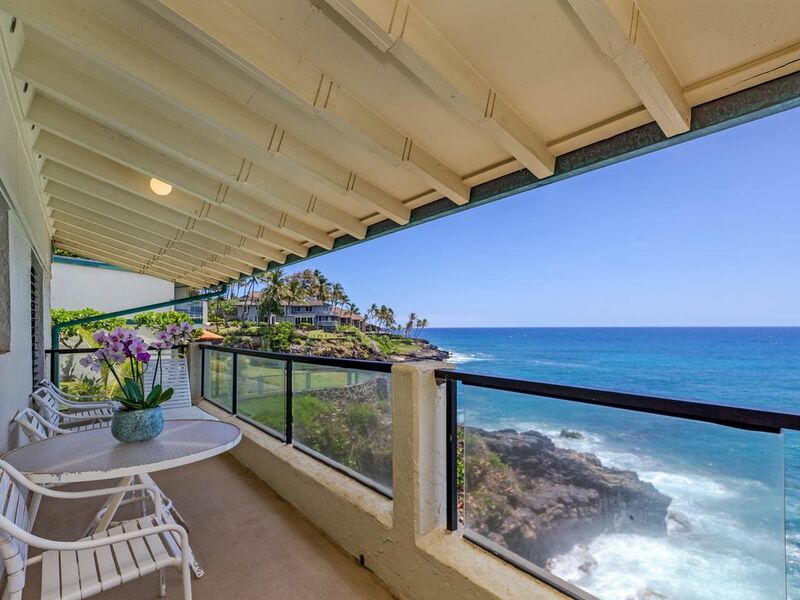 POIPU, KAUAI VACATION RENTAL: Poipu Shores is Kauai’s premier oceanfront complex with unparalleled shoreline views. 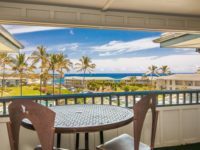 Enjoy whale watching and searching for sea turtles from your private lanai or basque in the sun by the oceanfront swimming pool. 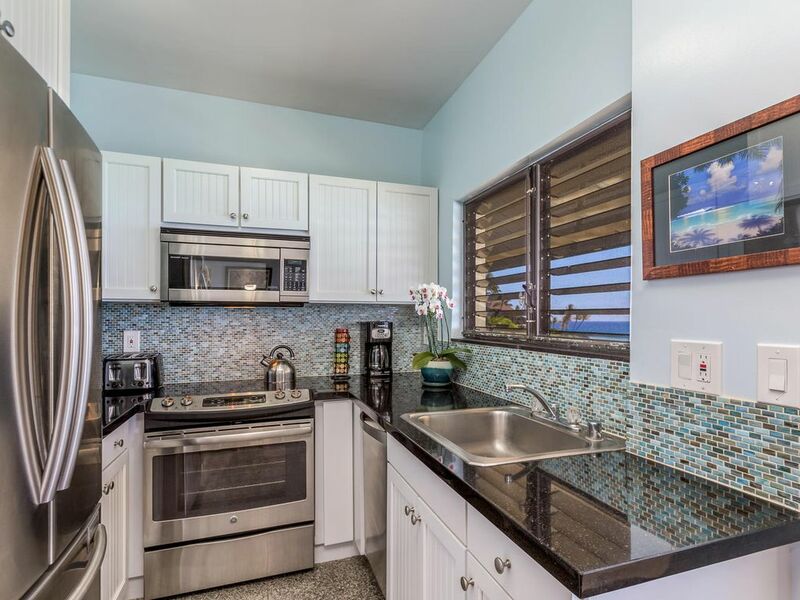 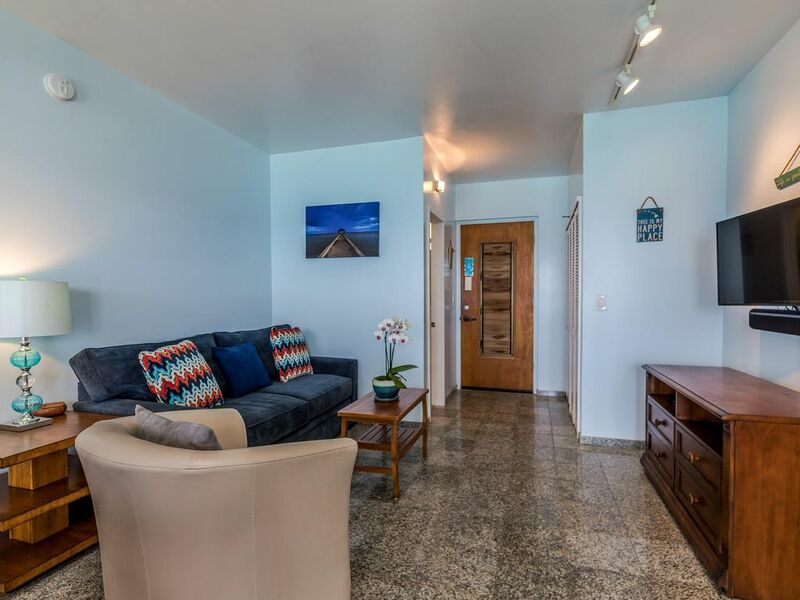 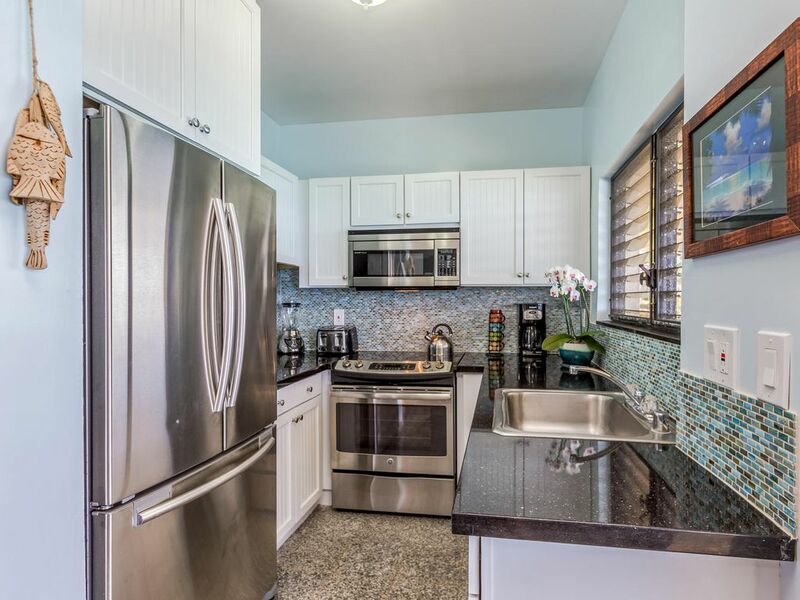 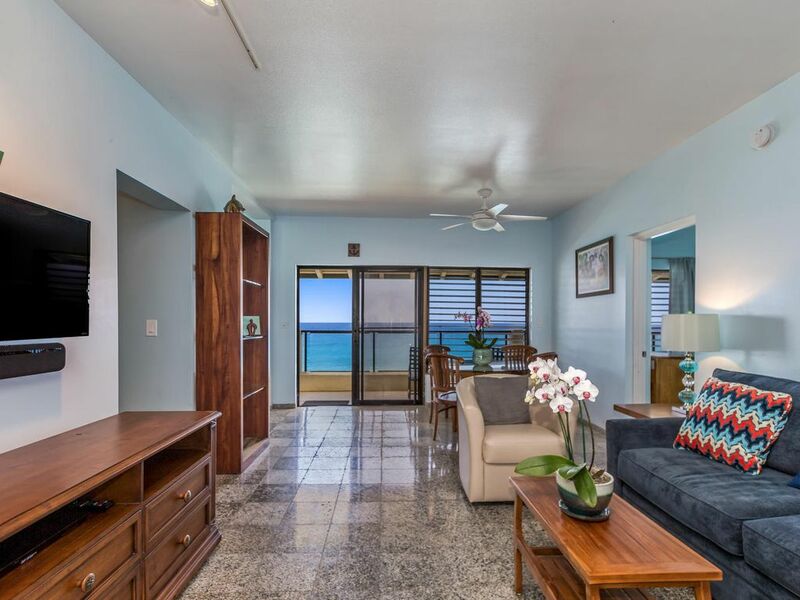 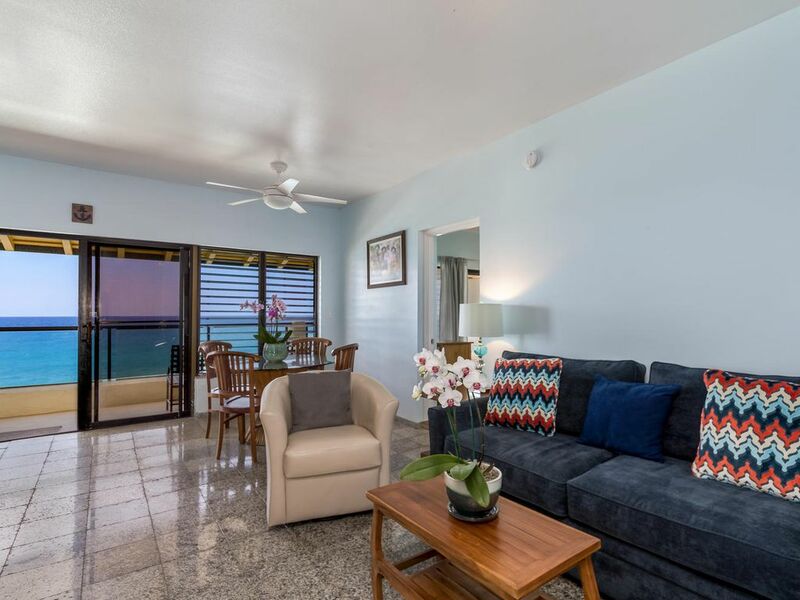 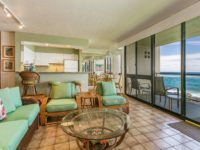 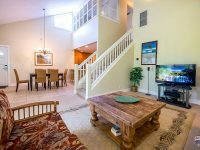 Unit 301-B is a newly renovated 3 bedroom, 2 bath family friendly condo where sea turtles swim in the waves just below the balcony all year long. 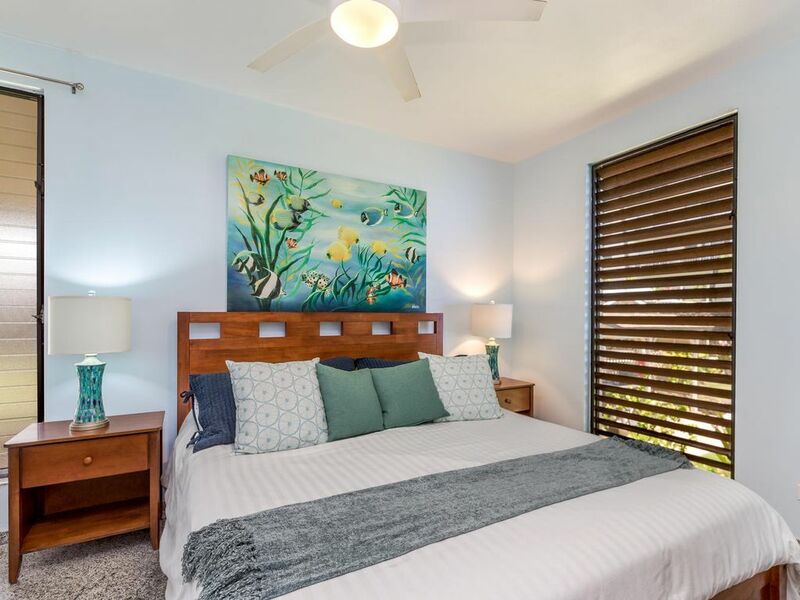 The master bedroom has a King bed with a private bathroom and shower. 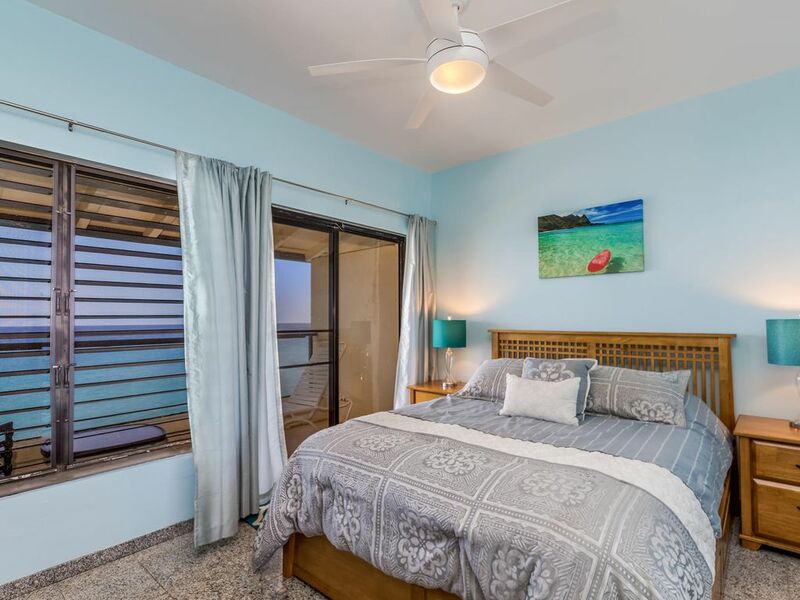 The second bedroom has a Queen bed, ocean breeze and screen doors which open onto the large balcony. 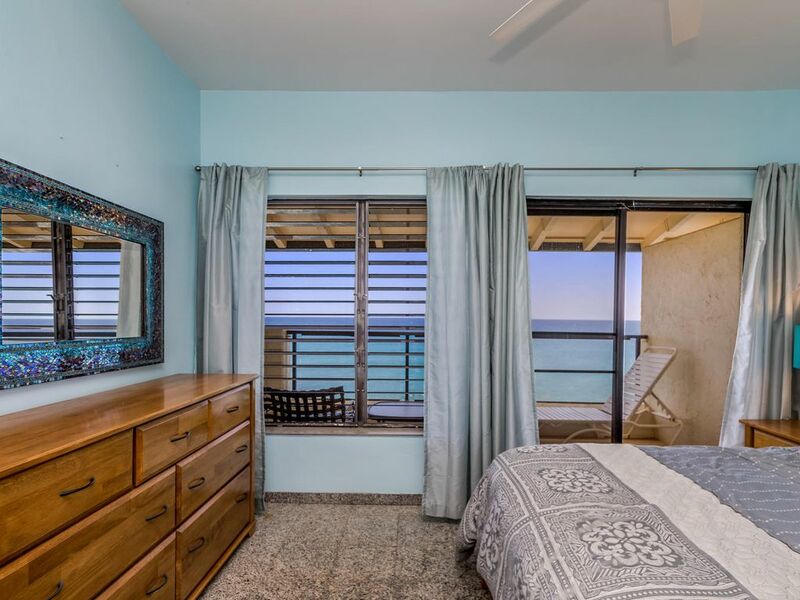 The third bedroom has two twin beds with windows that open onto the balcony overlooking the ocean and crashing waves. 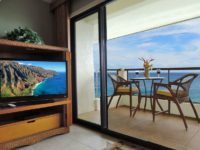 The living room has screen doors opening to the balcony, has a couch which opens into a full sized bed, and is adjacent to the second bathroom and shower. 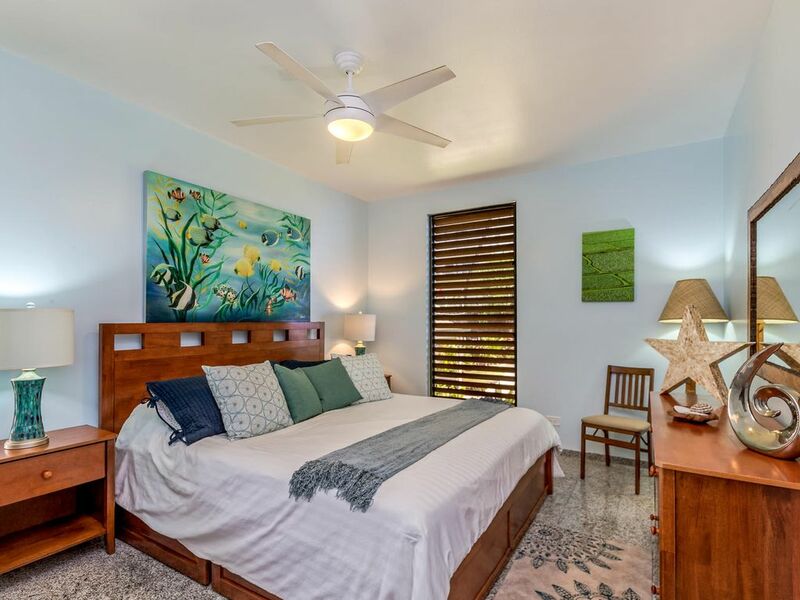 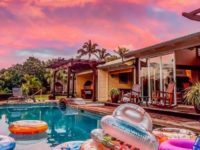 This is the ideal location for several couples or a family (or 2 families) tropical vacation whether you simply want to relax to the sound of the crashing waves or establish a base for island wide adventures. 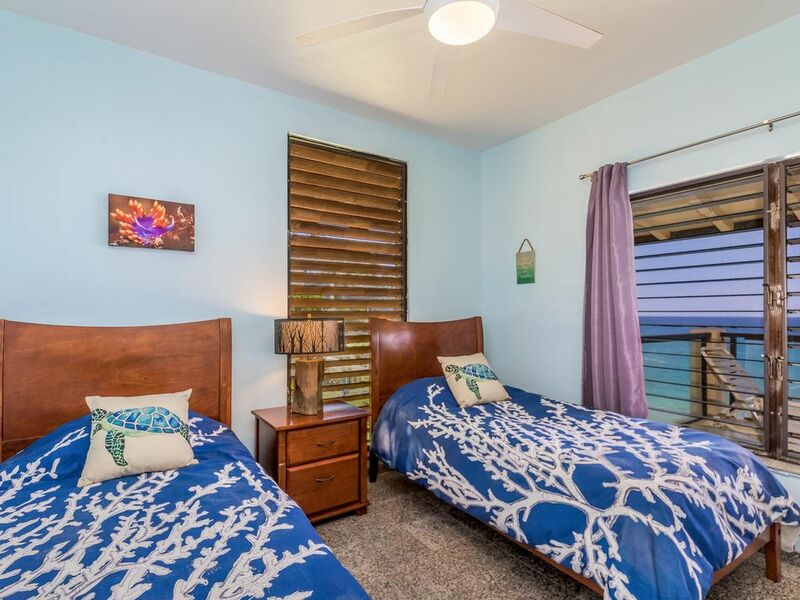 The unit includes beach towels, board games, DVDs, toys and children’s books, sand toys and basic adult and youth snorkeling gear to enhance your beach fun. 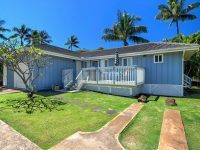 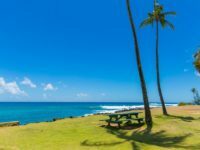 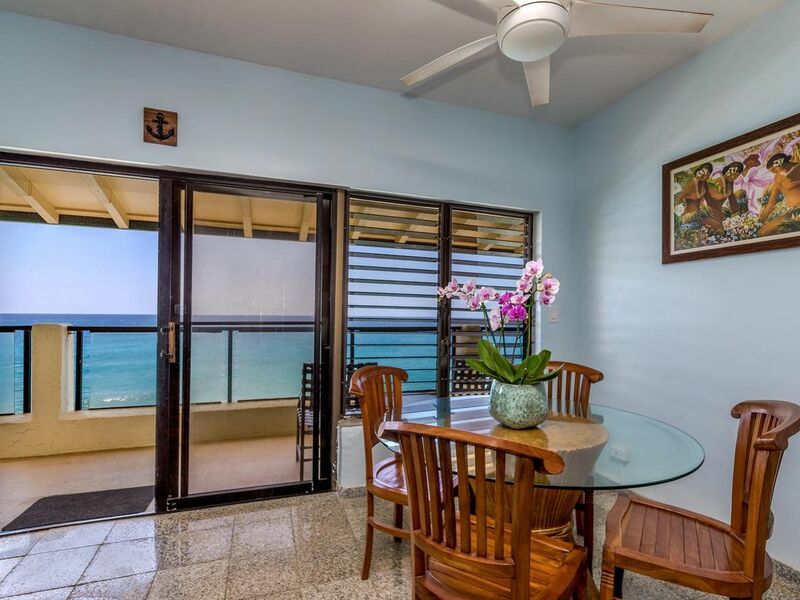 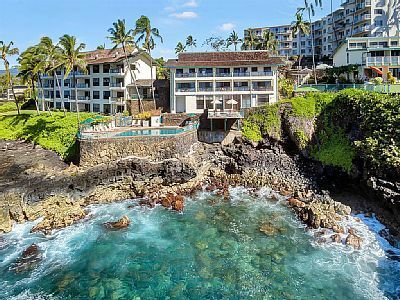 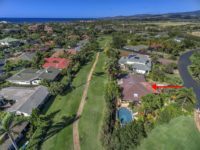 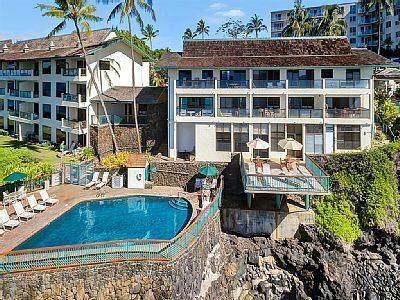 Poipu Beach for swimming, snorkeling, body surfing, surfing, open-water swimming, shaved ice and famed Brennecke’s Seafood Restaurant is a 5 minute walk from a path leading from the back of the condo. 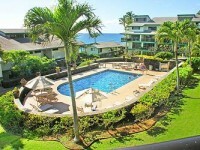 Rental gear for snorkeling, body surfing and surfing is a 5 minute drive away with both daily and weekly rates. 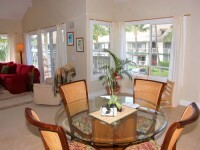 Starbucks, other local cafes, fresh sushi and numerous other local shops and restaurants are minutes away.